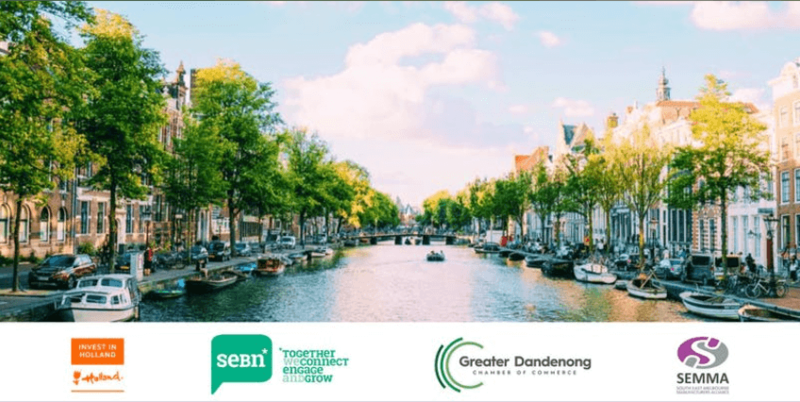 In partnership with SEMMA and the Greater Dandenong Chamber, we are holding a free information session on Thursday 2 May. With the developments around Brexit and international concerns relating to issues of the movement of both goods and labour within the EU, this information session will provide you with an opportunity to hear from representatives of the government of the Netherlands about how you can access the European region via the Netherlands. To RSVP, please visit the “Learn More” link below. For registration purposes, please RSVP no later than Friday 26 April.